I’m going to list my four best posts. These will not be by greatest to least. It will be from what ever order that I choose them in. I’m going to choose four of my best posts that are about: history, book reviews, The Student Blogging Challenge, and my best post! I chose this post, because it tells about my grandpa’s personal experience in history. It also has some questions that I put their and his answer. I chose this post, because this could happen in the future. Also it has expense and it pulls you in because you want to know what happens next. This book has a series of 7 books. I chose this post, because it has ten different people in history, and I think it has great questions about some people and we wouldn’t know about that if they weren’t asked. I chose this post as my best one, because I had a lot of fun with him. Also because it has a lot of different things that I like to do! Finally this all happened on The New Year!!! Do you think that these are good posts? What four posts do you think are the best? If you have a blog can you tell me your four favorite posts? Week 2 in the Student Blogging Challenge, I’m going to write about Minecraft. I love to play Minecraft. I love to build awesome houses, explore, and mine. I made this house on Minecraft. I also like to play with my friends on Minecraft. We love to explore the new updates on creative mode together. The main objective on Minecraft is to build, mine, explore, and have fun! On Minecraft there are zombies, skeletons, spiders, creepers, pigs, chickens, cows, sheep, etc. Minecraft Wiki is the wiki for Minecraft. Minecraft Wiki helps you find out how to make things, how to build things, how things work, and more! Also there are servers. With servers you can play with people across the world. Also you can just play with your friends on servers too. What do you like most about Minecraft? Do you like to play with different people? George Washington = When did you feel that you wanted independence? Martin Luther King Jr. = When did you first think about equal rights? Albert Einstein = Why did you quit school to become a scientist? William Shakespeare = What inspired you to become a poet? Isaac Newton = How did you figure out the rules of motion when no one else could? Abraham Lincoln = What goaded you to free the enslaved? Christopher Columbus = When you first explored America, what did you do first? Ben Franklin = When you experimented with lighting, did you have any safety precautions? Thomas Jefferson = How did you feel when you wrote The Declaration of Independence? Harriet Tubman = What would you have done if someone caught you while you were leading others to the next stop? Would you pick these people and why? This what the cover is. A Mutiny in Time is the first book of the series The Infinity Ring. This books author of this book is also a author in The 39 Clues series. So if you like the 39 clues series you will most likely like this book to. In the beginning of this book there are two groups one is the SQ these people are the bad guys and there are the Historians which are the good guys. In this book there are two friends their names are Dak Smyth and Sera Froste. They help Dak’s parents make a time portal called an infinity ring. They go back in time and Dak’s parents get kidnapped. Then they go back to the present. They goto the Historians. Dak and Sera tell the Historians everything. The SQ break in the Historians HQ. Dak and Sera get accompanied by Riq. Riq is a Historian. They have to fix a period in time that got messed with called a break. What is break about you might ask me. Well get the book to find out! James Dashner is the author of this book. Have you read The 39 Clues books? If so, what do you like about them? Do you think you would like this book? At my school a lot of kids are playing different sports. I was wondering what the other people like as their favorite sport. I would really like it if you voted. If you don’t have just one favorite sport please leave a comment on which sports you like. What’s your favorite sport to play and watch? Who are your favorite teams? What are your favorite players and the teams that they play on? 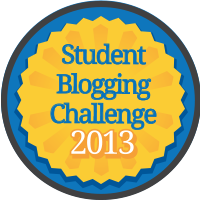 I did this for the Student blogging Challenge. 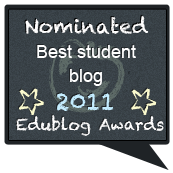 This post was written for the Student Blogging Challenge #4. I created it using Pages. My passions are: reading books, doing puzzles, and playing board games. This is how far I am now. My first passion is reading books, it is my best passion. What I like about reading books so much is that I get to sometimes learn something. Also what I like so much about reading books is that I get sucked into the book. My second passion that I love doing the most is doing puzzles. What I like about doing puzzles is that I have to find out where every piece goes. Right now I am doing a 1000 piece puzzle. It is so fun because I have to find out where a lot of people go. My third passion is playing board games. What makes this my third passion is that I get to be able to be with family and friends while I’m playing a game. What are your three favorite passions and why? 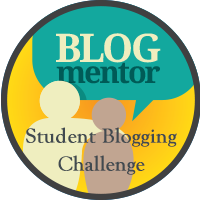 This is the second student blogging challenge. On October 1 I finished the puzzle. I lost one of the puzzle pieces, so now I have only 999 pieces of the puzzle. making a difference in life. I like how young kids (like me) can make a difference in life. I love Free Rice because it helps others and ourselves learn. Have you been to Free Rice? How many grains have you gotten? Do you feel like you making a difference n life? What type of E reader should I get? I have been saving up for a E reader and now I have $200. Then I found out how many there are. I am having trouble on figuring out which one I should get. I just would like to have a devise, so I can read books on long road trips. Nook Color: On the Nook Color you can read books, play games, and also you can play movies on it but, it will go slow if you stream movies, go onto the internet. The Nook Color costs $169.99. Kindle Fire: On the Kindle Fire you can read books, play games, and watch movies, go onto the internet, and listen to music. The Kindle Fire costs $199.99. Ipad 2: On the Ipad 2 you can read books, play games, watch movies, go onto the internet, go onto email, and listen to music. The Ipad 2 costs $399.99. Can you vote for the one that you think is the best? Which one do you think is the best? Why do you think it is the best? Among the Hidden is by Margaret Peterson Haddix. This book is about a boy that is a third child, named Luke (third children are outlawed). In the beginning of the book Luke was dieing to go outside. He was always able to go outside and help on the farm and play. He could do that all the time, until people were cutting down trees and building houses there. This was horrible for Luke. Now that people were outside Luke’s family had to keep the blinds shut and Luke now had to eat at the bottom of the stairs. That later that day Luke was keeping track who was in and out of their houses, when everyone in a house was out of it he saw a face in a window. He thought to himself “was that another third child? Who could that be?” He was tempted to go over to that house and see if that face was just real. The next week he went over to the house to see if the face was real. If so, how will he or she react?